“Tweeting”, “Hashtag” this. “Retweet” that. You hear about it all the time, from the BBC News to people on the bus. And everyone says that you should be using it to market your business. And everyone could well be right. . . But that is easier said than done. On the outside looking in, twitter can seem shouty, confusing and intimidating. So I thought I’d offer an easy, straight talking introduction & guide with everything you need to know to get started. I’m guessing the name ‘twitter’ was named for its’ core function. And the name offers a good analogy to explain it to newbies. So, if you imagine lots of different birds on a wire having a good old gossip with little snippets of news all chirping together then you’re starting to get the idea. A bird can tweet away with regularity, they just have to be short chirrups and always different. And that really is it’s beauty. It’s short, sweet & it’s swift. Upload a profile image Recommended size: 400×400 pixelsWhen someone sees this in their feed, it will be tiny, maybe viewed as small as 5mm. When they view it whilst looking at your twitter page it could be pretty big.Often a logo won’t work within both formats, if that is the case, using a specific graphic/s from your logo works well. Upload a cover image This image works in a responsive manner, i.e. it will change size depending on what devise you are viewing it from.For this reason, I recommend using a photo or montage of photos, this way it should work when large & small. Add a brief introduction to your business Include a web address & location if you have one.No more than 160 characters for this (including spaces) so keep it short & sweet. Despite what some might say you don’t need to start with sponsored tweets. The best way for a small business to start is the organic way (‘free range’ is better than ‘caged hen’). So, assuming you are using twitter to market your business, you are now going to need some contacts to interact with. The best place to start with this is to think about who your customers are and what their interests are. So, you have a general customer base within a certain area, look up the twitter accounts for local newspapers, community/interest groups and click follow. Then look at who else follows these accounts, at a glance you should get an idea if they are an individual or a small independent business and if they suit, follow them. Maybe add about 50 a day for a week, and a percentage of these people will follow back. You will know when there has been some activity because a little red square with a number on it will show by your Notifications in the top bar (just like facebook). After the first week, you’ll be able to measure how many people you are following against how many follow you. Now some people think this stat isn’t important, but I do. If an account has far fewer followers than they are following it suggests they dart out spam tweets or just dull ones but either way it doesn’t exactly entice visitors. You will find some naughty people will follow you, wait for you to follow them and then unfollow you. This is really bad practise and for every follower they gain, they lose another that mentally blacklists their brand for sheer rudeness. After all, twitter is not just about self-promotion it is also about having a chatting or sharing interesting content. Once you’ve seen what your followers are posting and maybe some competitors and decided what type of posts will work for your business you can get going. Post a tweet 1. Type your Tweet into the box at the top of your Home timeline, or click the Tweet button in the top navigation bar.2. Make sure your update is fewer than 140 characters. Remaining characters show up as a number below the box.3. Tip: Read about how to include photos in your Tweet here, and how to include a video in your Tweet here.4. Click the Tweet button to post the Tweet to your profile.5. You will immediately see your Tweet in the timeline on your homepage. Post a reply to twitter 1. Find the Tweet you want to reply to.2. Click the reply icon located at the bottom of the Tweet.3. A Tweet box will pop up with the @username of the account you are replying to added at the beginning of the Tweet. Complete your reply and click Tweet to post it. To post a mention on twitter 1. Type your Tweet as you normally would, but replace any names you include with that person’s @username. For example: “I love @Twitter!”2. Click Tweet to post it. Adding images, videos & links is going to be key to promoting your products / services. Annoyingly, these eat away at your 140 characters. So you need to know the best way of adding each. Sharing a link You can simple copy & paste a link in to your tweet, twitter will automatically reduce the link slightly. If you want to reduce it further, use bitly and paste link in top left corner & click ‘Shorten’. The copy & paste smaller link (minus the http:// if need be). The # key links up keywords or topics throughout the twittersphere. You get commonly used hashtags, when you add one to your tweet, it will show up in a specific hashtag feed. It’s a great way of people locally finding your tweet (e.g. #brighton) or to comment on something topical or a TV programme currently broadcasting (e.g. #theapprentice). People use the hashtag symbol #before a relevant keyword or phrase (no spaces) in their Tweet to categorize those Tweets and help them show more easily in Twitter Search. Clicking on a hashtagged word in any message shows you all other Tweets marked with that keyword. Hashtags can occur anywhere in the Tweet – at the beginning, middle, or end. Apple mac: press ALT Key and 3 (at the same time). ALT key may also have ‘Option’ on it & is usually located one to the left of the spacebar. With only space for 140 characters per tweet, a lot of abbreviations are used to fit more in. A lot of it is already used for sms text messaging and most are straightforward. But the below dictionary will help you get started. And that is all you need to know to join the ever growing twitter chorus. Get stuck in and you’ll soon get the hang of it. Don’t be afraid to chat to people, comment on their tweets etc. Just bear in mind that you represent your business at all times. It’s a fantastic free marketing tool, just remember, tweet interesting and tweet often. I’m a Marketing Professional with a decade of experience under my belt. In that time I have worked across the private, public & third sectors and marketed a multitude of stock, assets, venues & services. 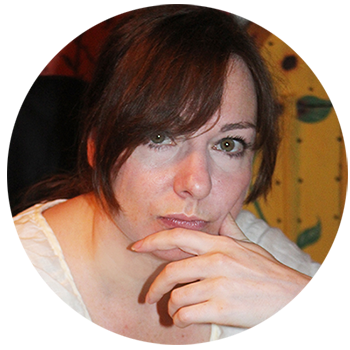 I’m highly creative, skilled across the marketing mix and utilise a wide variety of marketing tools & software. 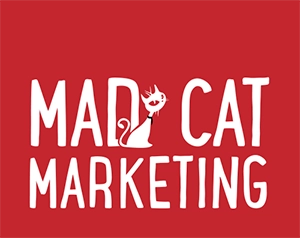 I am the Owner Operator of Mad Cat Marketing.
. . . And I’m really not as frowny & stern as my picture suggests. I smile often! But when writing/advising about marketing, I maintain focus. Drop me a line, if you have any questions. . . happy to help!